Cole Sprouse made his long-awaited return to the Riverdale Reddit page last night (Sept 5) to answer everyone's pressing questions and revealed a few juicy pieces of information in the process. He touched upon wanting to continue the conversation surrounding Jughead's asexuality, revealed that Jughead's hat once got stolen on set and spoke about how he started acting with his brother to support his family's financial issues. But he also answered (and confirmed) one fan's question about an editing mistake in one of the episodes and we bet you didn't even notice it before now. In case you haven't seen it, in episode 11 just after that awkward situation around the Cooper's dinner table, Jughead sits in the car and has a chat with his dad FP Jones before he heads into the Homecoming Dance. If you look very closely, you can see a very subtle blur under Juggie's eye. At first, you think "Oh, Cole must have some smooth AF skin under his eyes!" but then, as the scene goes on, it becomes pretty clear that the bags under his eyes have been airbrushed. Once you see it, you'll never be able to watch this scene without your eyes zooming straight into the blur ever again. 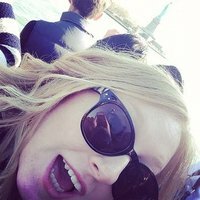 Cole responded to the lil' editing mishap in the AMA and revealed why and how the whole thing happened. He wrote to the fan: "You caught that~ can't wait to tell this to makeup. 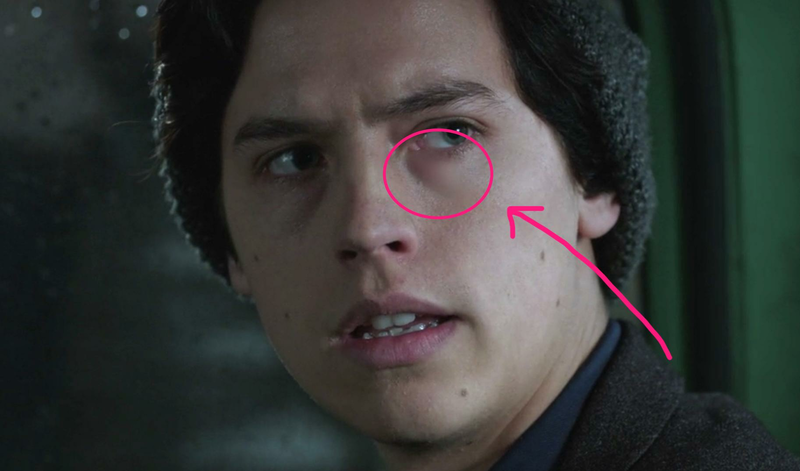 I requested during the pilot that Jughead not have any makeup cover his undereyes, make him look a bit more exhausted. This was an attempt to "brighten" my bags. Sometimes I get even less sleep than normal~"
First of all, lol! Second of all... He doesn't wear any make up to make Jughead look tired? Cole, baby, is you getting enough sleep? Now we're worried. #LetJugheadSleep2k17. Anyway, there you have it. An answer to a very pressing question. Oh, and in case you were wondering... Cole's favourite Pokemon is Gengar. Bye.